Beautiful slate fence panels held in place by sturdy, slotted, oak supports. 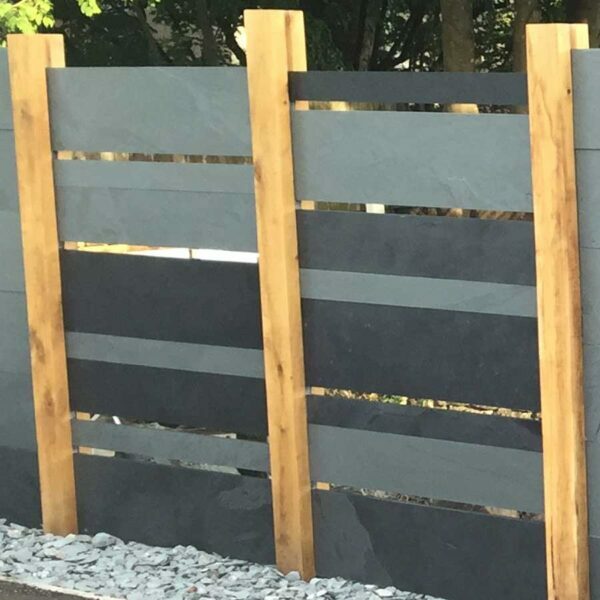 Our natural stone fencing is available in a choice of black or grey/green slate. 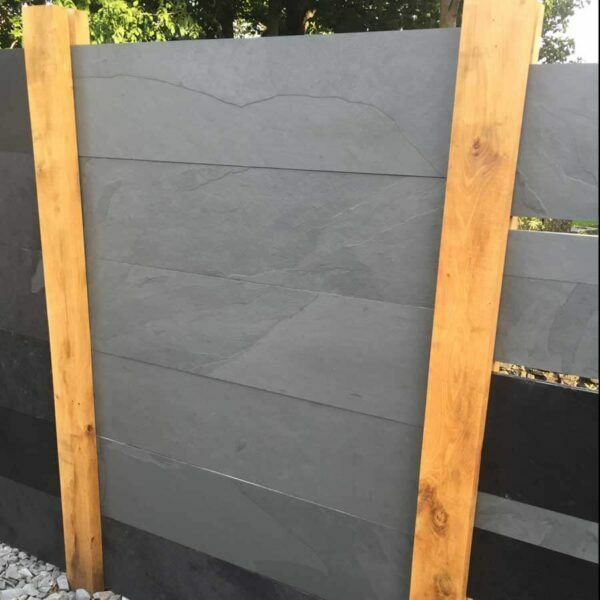 Providing a stunning feature for any garden, these individual slate panels can be put together as one solid colour, with or without gapping or mixing the two complimentary colours. Beautiful slate fence panels held in place by sturdy, slotted oak supports. 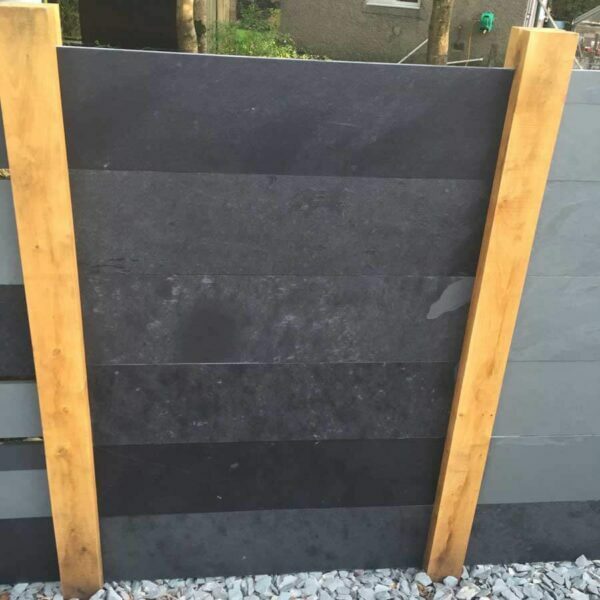 Our natural stone fencing is available in a choice of black or grey/green slate. Each panel measures 1200mm x 300mm with a depth of 18-22mm. If you need any help with your order, don't hesitate to call and speak to one of our knowledgable team on 01539 822666.